Are dairy-free products boring? The British company “Nush Foods” wants to put a definitive end to this myth. For the first time, customers of the British supermarket chains “Whole Foods Market” and “Planet Organic” will find a spreadable vegan almond milk cheese on supermarket shelves. The vegan cheese owes its consistency to Sicilian almonds, which are mixed with vegan probiotics. The cheese is then seasoned with British sea salt, which makes the product’s taste “truly unique,” according to the company. The high proportion of almonds guarantees a protein-rich indulgence with plenty of vitamins. 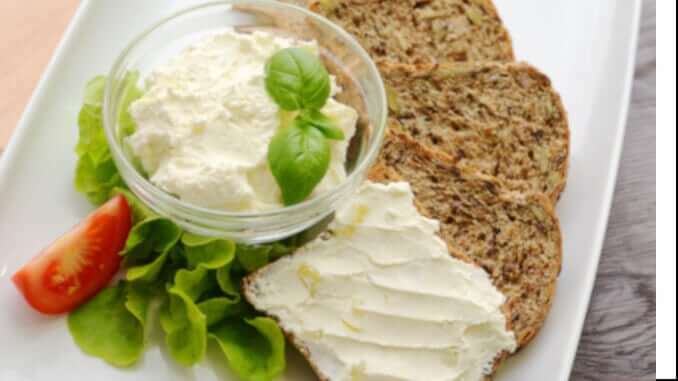 The vegan cheese will initially be available in the two supermarkets Whole Foods Market and Planet Organic, in the flavours “Natural” and “Chive”. Soy and dairy-free cheese is already very popular. Vegan fans responded very positively to the social media announcement by the Nush Foods team. Nush Foods was also the first company to sell almond-based dairy-free yoghurts in the UK and Europe. Great Britain in particular is a growing market for vegan products. Last year, sales of yoghurts made from cow’s milk fell by £82 million, whilst sales of dairy-free yoghurt rose dramatically. The many benefits of a vegan diet are a key factor in this development.